A more chill demographic is emerging among cannabis users—those who prefer a pleasant buzz over complete inebriation. The audience is wide and varied, from empty nesters to harried moms, who want to relax after a challenging day, stay focused on a particular task or just laugh a little more heartily. They tend to be middle- to upper-income professionals who don’t smoke cannabis but are curious about just getting high enough, the equivalent of a few cocktails or glasses of wine. They’re exactly the audience for microdosed edibles. Whether a brownie, candy or a liquid concentrate, a microdosed edible is generally no more than 10 mg of THC, the psychoactive chemical in cannabis responsible for a euphoric high. Anecdotal accounts abound, but reliable data on the number of low-dose cannabis users does not exist. But if manufacturers of edibles are a measurement, the market is white-hot. Instead of gulping a chocolate cookie laced with 20 mg of THC, manufacturers are retooling their lines initially meant for medicinal users. No one knows if a low dose user is slowly dissolving fruit-flavored lozenge or sipping a beverage with only a couple milligrams of THC. The delivery is discreet. Manufacturers of microdose edibles say it’s important for first-timers and those who haven’t consumed cannabis after a lengthy absence to learn how the drug affects them. Everyone reacts differently, says Seth Yaffe, operations manager at Ermont, a medical marijuana dispensary in Quincy, Massachusetts. “I definitely can feel anywhere from 5 to 7 to 10 mg of THC in an edible really quickly,” says Yaffe, a medical marijuana patient and a former restaurateur. Microdosing allows patients and recreational users to control their experience and learn how they respond to different dosage levels. While alcohol and cannabis are obviously different drugs, manufacturers of edibles are intentionally associating the two because the effects of a beer or a glass of wine are familiar to most people. It’s a benchmark. “It’s about building familiarity and normalizing cannabis-infused treats as an alternative to a bottle of beer or a glass of wine at the end of a long work day,” says Jesse Burns, sales and marketing director of Sweet Grass Kitchen, a small batch bakery that sells marijuana-infused products in 450 dispensaries throughout Colorado. 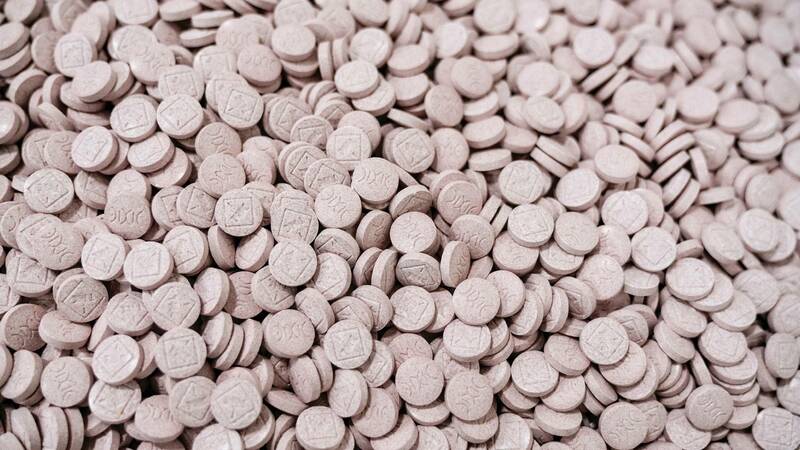 Christie Strong, marketing communications manager for California-based edibles manufacturer Kiva Confections, says she’s given some of the company’s microdosed sugar-free Eucalyptus and Moroccan mints, called Petra Mints, to her “mom friends” in their mid-to-late 30s. “It’s catching on like fire,” Strong says. Kiva also offers chocolate-covered dried blueberries and espresso beans, called Terra Bites, infused with 5 mg of THC per bite. The company sells its products in California, Arizona, Nevada and Illinois, with plans to expand to Massachusetts, Colorado and Hawaii. Kiva soon will convert all of its products, including its higher-dose chocolate bars, into microdose-friendly treats with new molds that include 5 mg of THC per chocolate square. Consistency in dosing is key, Strong says. Patients and cannabis consumers interested in microdosing should identify and broaden their “therapeutic window.” That’s the dosage level that provides a benefit without undesirable side effects, such as feeling anxious, impaired or stoned, says Dr. Dustin Sulak of Integr8 Health in Maine and co-founder of Healer.com, an online resource for cannabis-related medicinal programs and information. “For someone who is just starting to use cannabis and has never tried it before, there is a very narrow window,” he says. “After as little as a few days of use, that window becomes wider and a person can more readily find a therapeutic dose without any side effects,” he says. Sulak recommends first-timers use a cannabis tincture or oil to gauge their optimal dose. But cannabis-infused lozenges, or anything that allows for absorption through the blood vessels in the mouth, are ideal for beginners in search of their therapeutic window. Begin with 1 to 2 mg of THC. Conduct an “inner inventory.” Rate on a scale of 1 to 10 how comfortable you feel. How easy is it to breathe deeply? How content do you feel? Wait 30 minutes before taking another inventory. If you experience no change, next time increase the dose by 1 or 2 mg. Repeat until you reach a dose that changes your inner inventory. Once you’ve identified your optimum microdose, stick to it for three days.